What do you think? Do you ever venture into your local AE? I still love AE! I've been shopping there since middle school and even at 27 I keep finding tons of goodies there. 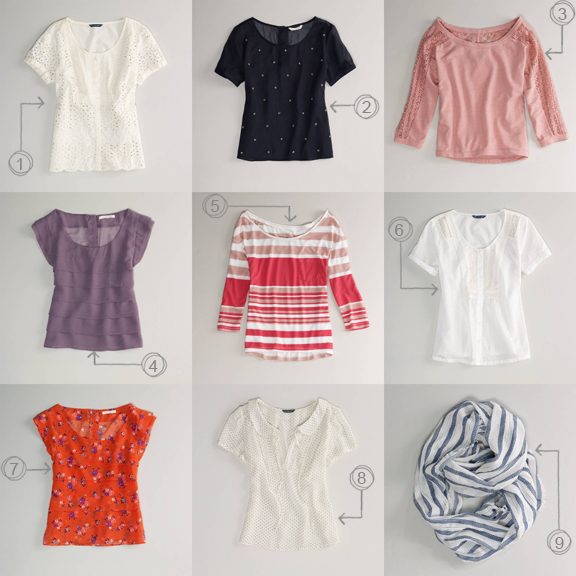 I have the chiffon shirt (#4) in black and love it! I wasn't super impressed with their spring and summer clothes, but I somehow can't stop buying from there this fall! Great picks!